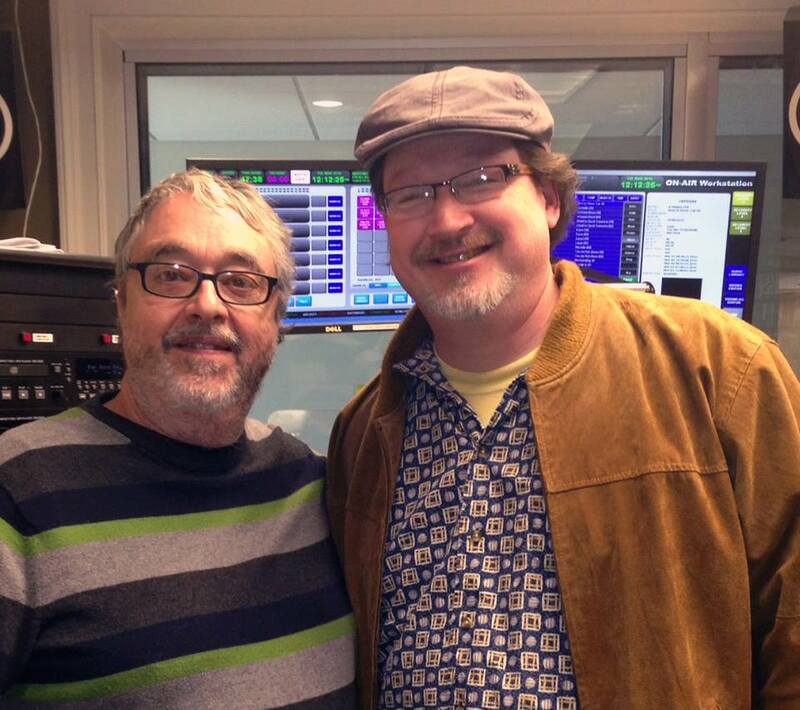 Community DJ Mike Smith (left) and me in the booth at WQFS, Guilford College, Greensboro, NC. Thanks for the coverage, folks! And thanks again to Mike Smith for having me on his WQFS radio show on Tuesday. It was a hoot. Catch me on the airwaves again this coming Tuesday during my St. Patrick’s Day visit appearance on WUNC’s “The State of Things,” broadcast live from the Upstage Cabaret at Triad Stage in downtown Greensboro. The producers of “The State of Things,” hosted by Frank Stasio on WUNC radio, have asked me to appear on the show on St. Patrick’s Day, March 17. It’s a terrific program that airs weekdays at noon, with a rebroadcast at 8 p.m. Monday through Thursday. The show covers culture, politics, history, and more, and I’m honored to get a chance to go on the air to talk about John Prine: In Spite of Himself. My appearance will come during one of the show’s periodic excursions away from its Durham home base to Greensboro, where it broadcasts live from the Upstage Cabaret at Triad Stage. You can attend the broadcast in person – click here for more info. A new reading has also been added to the calendar: April 2 at Vinyl Perk in Carrboro. I’ll drop the needle on some Prine vinyl (henceforth to be known as “Prinyl”) and share the stage with musical guests, including Jefferson Hart. More book reviews, news stories, and readings are also in the works. Watch this space for more information.